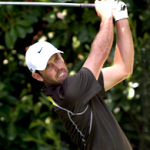 Old Palm resident and 2011 Masters champion Charl Schwartzel finished the 2014 British Open tied for seventh place at 11 under par. His final round was an impressive 67, as he had five birdies and no bogeys on the demanding Royal Liverpool (or Hoylake as it is usually known), the second-oldest seaside links golf course in England. In fact, Schwartzel birdied three of the last four holes, giving him great momentum for his next tournament, the RBC Canadian Open, which starts July 24.